There’s a good chance you’ve come across a way too spicy pepper in your life. Maybe you sought it out; maybe it snuck up on you in a salsa. Either way, that fiery burn is seared in your memory. But unless you’re an extreme heat seeker, that pepper you tried is far milder than the peppers that reach the top of the Scoville Scale. The Scoville Scale is an objective scale used for measuring the spicy heat of peppers and other hot foods. Items on the scale are ranked by their Scoville Heat Units (SHU), which measure the concentration of capsaicin (the active compound responsible for spice). The SHU range from zero up to the millions, each one representing how many cups of sugar water it would take to dilute a cup of the food to a neutral spiciness level. For example, a cup of jalapeño takes between 2,500 and 8,000 cups of sugar water to neutralize the spice, so it’s 2,500 to 8,000 SHU. While the test used to be more subjective and based on testers’ tastes, high-performance liquid chromatography has made it possible to measure the exact amount of capsaicin in the pepper possible. Which, for the sake of tester’s mouths, is a huge plus in today’s world of super peppers. When the Scoville Scale was created by Wilbur Scoville in 1912, he never could have imagined the human-engineered peppers that can be hundreds of times hotter than anything that occurs in nature. In ascending order, here’s how the hottest peppers in the world rank from the naturally occurring to the unnatural Frankensteins humans have created. The Madame Jeanette hails from Suriname, a small country on the northeast coast of South America. Its smooth, yellow pod packs a surprising punch. Believed to be named for a prostitute from Paramaribo, it has neither fruity nor floral undertones — it’s just hot. The Madame Jeanette can commonly be found in traditional Suriname and Antillean cuisine, often tossed into dishes whole to add spice to every bite. The Scotch Bonnet is a Caribbean pepper, and it gets its name from a perceived resemblance to the Scottish Tam o’ Shanter (those floppy plaid hats with the pom-poms on top). It has a little bit of sweet to go along with all that spicy and is most commonly found in hot Caribbean dishes like jerk chicken or jerk pork, though it crops up in recipes as far away as West Africa. They’re one of the main ingredients in the famous West Indian hot pepper sauces, which differ from country to country but can be found in almost every household in the Caribbean. The first of many varieties of the famed habanero to make the cut, the white is particularly rare and difficult to cultivate. These peppers grow on tiny bushes, but each one produces an exceptionally high yield. There’s some debate about whether they originated in Peru or Mexico (some people go so far as to differentiate between Peruvian White Habaneros and Yucatan White Habaneros), but regardless of their origins, these peppers can be found lending heat to traditional Mexican stews and salsas. Their influence has even extended out into the Caribbean, where they’re employed in sauces and marinades. This habanero is the orange kind you can buy in the grocery store, but just because they’re readily available doesn’t mean they’re less vicious than any of their cousins on this list. Originating in the Amazon, this pepper was brought northward through Mexico (where most of them are grown now). The habanero is actually a different variety of the same species as the Scotch Bonnet, though it’s used more in Mexico than in the Caribbean, lending a fruity and floral kick to Yucatanian food. The first pepper on the list from the Eastern Hemisphere, the Fatalii is a chili from central and southern Africa. 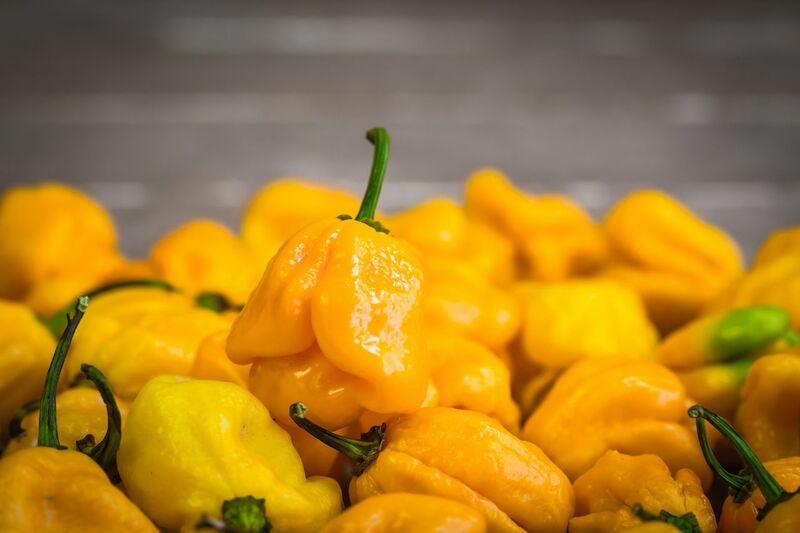 Brave souls claim that its flavor is notably citrusy (though how anybody can taste anything through that much burning is beyond me), and so it’s used largely in fruity hot sauces from its native Africa through the Caribbean. Just beware when confronted with this pepper as the heat starts early, covers your whole mouth, and takes quite a while to dissipate. 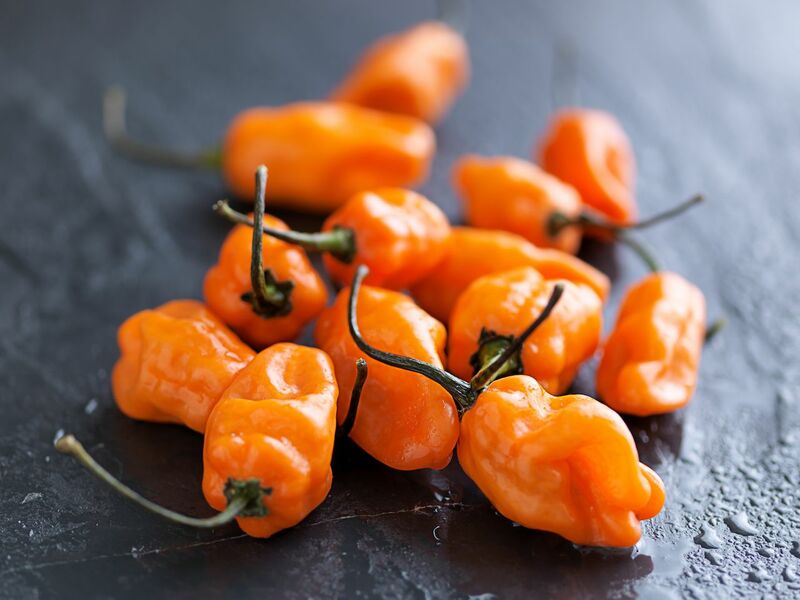 Similar in appearance to the Fatalii, and a member of the habanero family, the Devil’s Tongue was first discovered growing in Pennsylvania among its habanero relatives. Nobody’s quite sure where it originated or how it came to be growing in the field of an Amish farmer, but it’s become renowned for its bright, fruity, and sometimes slightly nutty taste. Because its past is a mystery, however, there are no real ‘traditional’ uses for the Devil’s Tongue — experts recommend eating them fresh in salsas or salads if you can take the heat. Chocolate Habaneros originated in Trinidad and in fact have absolutely nothing to do with the Congo. This one’s a favorite of many ‘chiliheads,’ who somehow remain conscious long enough to detect a rich, smoky flavor buried somewhere under all that heat. What you won’t taste is any hint of chocolate. The name comes from the color of the pepper, not the flavor. Chocolate habaneros have been dubbed the “ultimate salsa pepper,” though you’re more likely to find them in world-famous Jamaican jerk sauce. Yet another habanero cultivar, this bad boy’s been selectively bred for generations to produce larger, heavier, and spicier fruit — to give you some idea of where this list is headed, the Red Savina was the hottest pepper in the world from 1994 to 2006, and we’re not even halfway through. 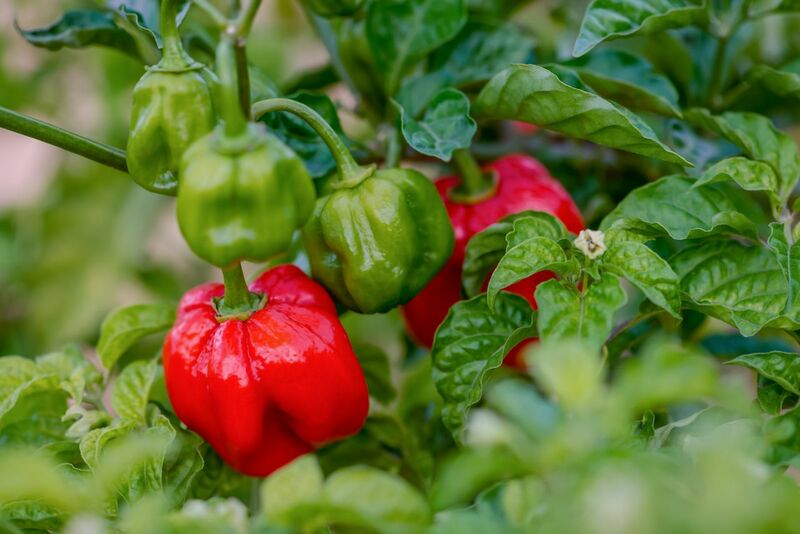 As a close relative of all the habanero peppers, the Red Savina shares the well-established Central American origin story but was developed further in California. It was discovered by accident when a farmer trying to grow domestic habaneros found a bright red pepper different from the orange habaneros in his field. He kept it, bred it, and started selling it as its own product. The strain is protected by the US government’s Plant Variety Protection Act, ensuring its spice for many generations to come. Naga Morich means “serpent chili” in Bengali. Sister of the famed Ghost Pepper (yet to come), this beauty is native to northern India and Bangladesh, where it’s often eaten green (read: unripe) and raw, as a side dish. The Dorset Naga is a particular strain of the Naga Morich pepper that was selectively bred for maximum heat — the first pepper on earth to break one million SHU (double the rating of the Red Savina). Aside from mind-numbing heat, they also boast a fruity flavor; some claim to taste notes of orange and pineapple, but personally, I find the idea of being able to taste anything amidst the mouth-fire highly suspect. The Trinidad Scorpion gets its name from its homeland and its appearance. The latter half of the name makes sense once you get a look at one. The peppers have a little stinger opposite the stem, which looks like the poisonous barb on the tail of a scorpion. Although, if you want to relate the power of the pepper’s spice to a scorpion, that works as well. The “CARDI” addendum stands for Caribbean Agricultural Research and Development Institute, the research group responsible for the breeding of this particular pepper. We’re now well within the ‘dangerously hot’ range, a fact further evidenced by the two main uses of the Trinidad Scorpion CARDI: firstly, in military-grade mace, and secondly, mixed in with marine paint to prevent barnacles from growing on the bottoms of boats. But I guess you could put it in your food if you really wanted to. The Bhut Jolokia (aka Naga Jolokia) is more commonly known by its Americanized name, the Ghost Pepper. 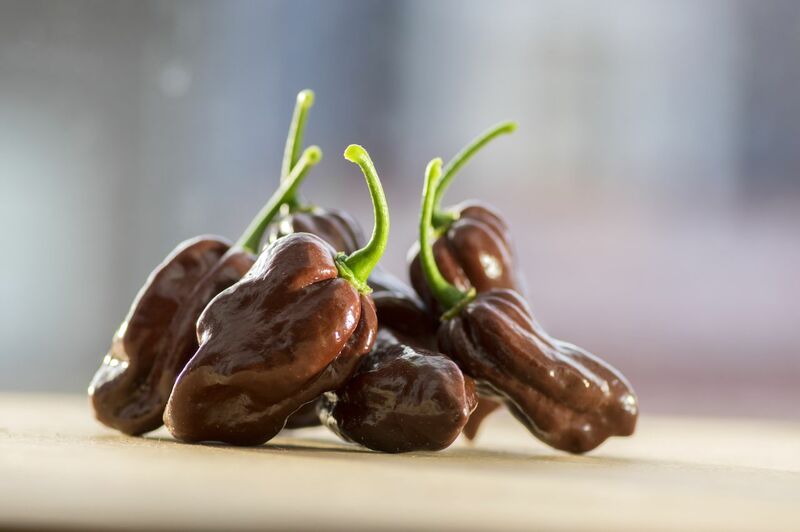 The chocolate variant of this pepper is a very rare naturally occurring permutation of the standard red and is named not only for its rich coloring but also for its notoriously sweet flavor. Don’t be fooled by the sweetness, though — it’s just as spicy as its red cousin, at over a million SHU. Native to India, the Ghost Pepper is responsible for some of the most brain-searing, tongue-sizzling curries and chutneys in the entire world. However, it’s also used in military weapons and smeared on fences to ward off stampeding elephants. The Bhut Jolokia, or Ghost Pepper, is the fiery, less sweet original that spawned the Chocolate Ghost Pepper (bhut means ghost or supernatural creature). Native to India, the Ghost Pepper is responsible for some of the most brain-searing, tongue-sizzling curries and chutneys in the entire world. However, it’s also used in military weapons and smeared on fences to ward off stampeding elephants. The standard red variant of this pepper is much easier to find than the chocolate variety, and is the fuel for restaurant challenges and idiotic YouTube videos worldwide. Fun fact: The Ghost Pepper is an inter-species hybrid between the species containing all of the habanero cultivars and the species containing the Tabasco pepper. The 7 Pot Chili gets its name from its alleged ability to provide enough spice for seven pots of stew, and at over a million SHU, I’m inclined to believe it. Unsurprisingly, this little demon is also from Trinidad, where evil peppers grow like weeds, and you’ll find it in many of the same dishes as the other Caribbean peppers in the habanero family — stews, marinades, and hot sauces. The 7 Pot (sometimes called the 7 Pod) displays all-over “pimpling,” a texture only found in the spiciest of peppers (appearing as though they’re boiling themselves from the inside out). The Spanish Naga is grown, of course, in Spain but was actually developed in the UK. Like the 7 Pot, this one’s so fiendishly spicy that its skin is bubbling and wrinkled, an effect probably exaggerated by the unique conditions under which it’s grown: The plants have to be kept indoors in enclosed plastic tunnels and subjected to blisteringly hot temperatures in order to churn out peppers that spicy. Since they’re largely man-made, there aren’t any traditional dishes that use the Gibraltar chili, but they’re available in Western Europe if you’re interested in concocting a curry and then never tasting anything again for the rest of your life. Most of the rest of the peppers on this list have been engineered by humans. I guess once we identified the hottest pepper in the world, all we could do from there was make them hotter ourselves. 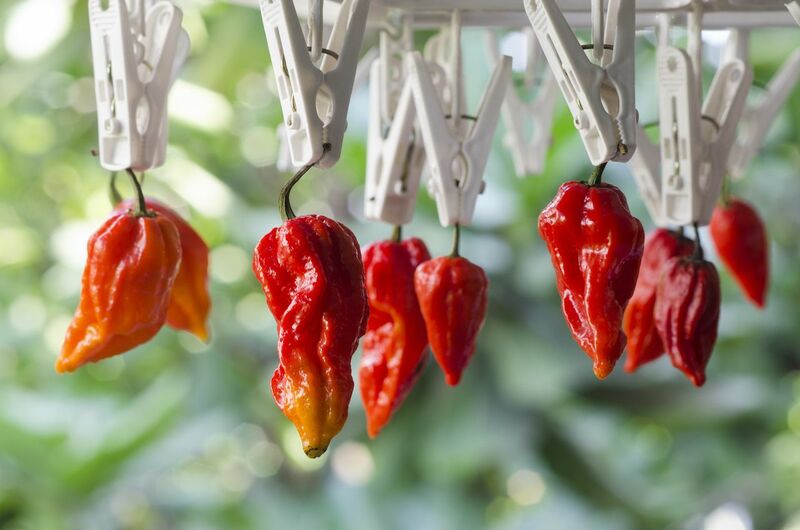 The Infinity Chili was engineered in the UK by breeder Nick Woods, but it only held the world record for two weeks before it was ousted by the next contender, the Naga Viper. Like the previous two, this pepper is red and wrinkly and shriveled and horrible looking — as would you be after eating it. Nature never intended this pepper to exist. It’s so strange, so very unholy in its spiciness, that the plants can’t actually produce offspring exactly like the parent. Okay, fine, it’s not because it’s an evil abomination — it’s an unstable three-way genetic hybrid between the Naga Morich, the Bhut Jolokia, and the Trinidad Scorpion, which can’t naturally incorporate the genes from all three breeds into its seeds. If you want to grow it, you have to get the seeds from its human creator, Gerald Fowler (and the waiting list is several thousand people long). The mean sister of the 7 Pot Chili, the Douglah (also known as the Chocolate 7 Pot) is characterized by heavily textured dark brown or even purple skin. This pepper comes agonizingly close to two million SHU, so one would imagine flavor is the last thing anyone’s thinking about as they’re lying on the floor, weeping. This pepper is far into the heat range that you need to seriously consider wearing gloves and goggles if you plan on handling them in any capacity. And yet, many say the Douglah is one of the most deliciously flavored peppers, with a full-bodied fruitiness unmatched by others of its spice level. Hailing from Trinidad, land of the brutal pepper, this variety can be found in many of the same dishes as the other Caribbean contenders. This cultivar of the Trinidad Scorpion is the pride and joy of Butch Taylor, owner of Zydeco Hot Sauce in Mississippi. Tiny, red, and sinister, this pepper has a little stinger on the end, characteristic of the scorpion peppers. The Scorpion Butch T is so spicy you have to wear safety gear to cook with it (that means masks, gloves, full-body suits — the works), and cooks have claimed numbness in their hands for up to two days afterwards. 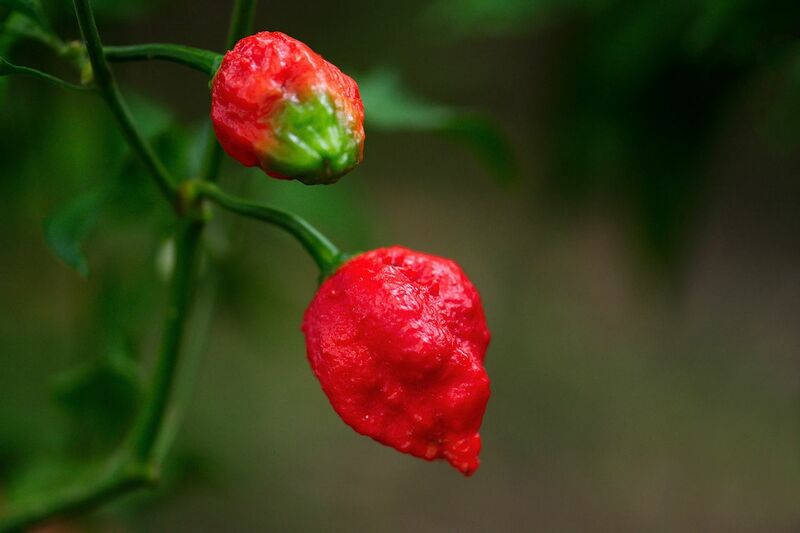 The Moruga Scorpion, the first pepper ever to break 2 million SHU, held the world record for spiciness for several years and hails from, you guessed it, Trinidad. Each fruit is about the size of a golf ball and contains as much capsaicin as 25 milliliters of police-grade pepper spray. This is the spiciest naturally occurring pepper known to man, but, like the Douglah, it’s also famously fruity and flavorful. Fans recommend adding a small amount to any dish for an explosion of flavor, as well as the endorphin rush that accompanies the consumption of something that spicy. This is it. The big one. The grand emperor of spicy peppers. The Carolina Reaper claimed its crown in November of 2013 as the spiciest pepper of all time, blowing the Moruga Scorpion’s measly 2 million SHU away by over 200,000 units. And it’s one nasty-looking pepper, fully equipped with the texture and scorpion tail (or, in this case, the reaper blade) of the Trinidadian heavyweights, though it lacks the natural heritage of the Moruga Scorpion. 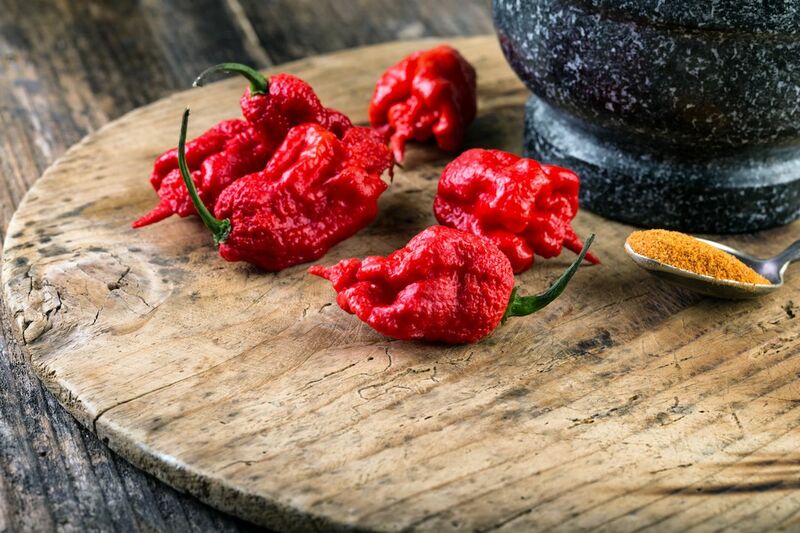 The Reaper was engineered in South Carolina by Ed Currie, owner of PuckerButt Pepper Co., by mixing an exceptionally hot Caribbean pepper from the island of St. Vincent and a pepper from Pakistan. They have a whole line of Reaper-based merch available on their website if you’re brave. Personally, I like the taste of food, so I have to pass. What can I say? I fear the Reaper. Editor’s Note: This article was originally published in 2014 and was updated in 2019.